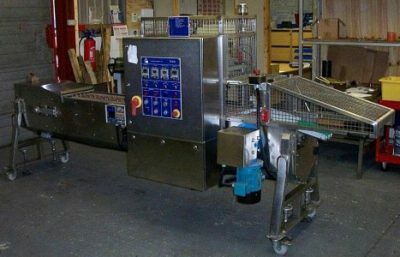 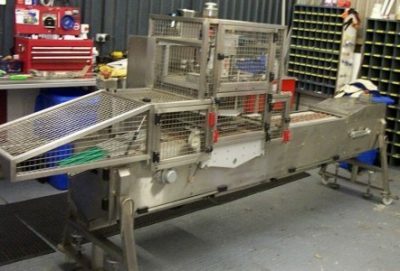 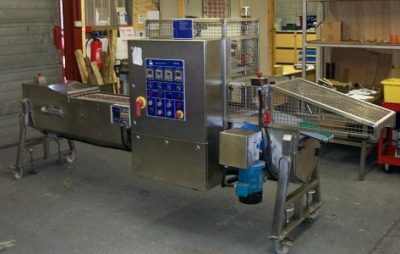 The PA 236 is an automatic, integral conveyor fed machine for heat sealing pre-cut lids to pre-formed trays and containers. 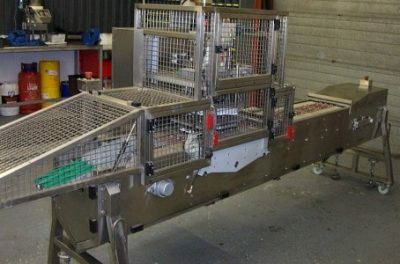 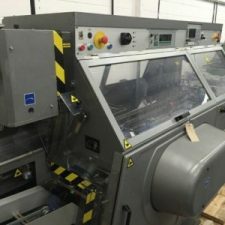 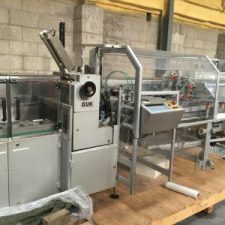 The machine incorporates an automatic indexing conveyor and is designed for high capacity dedicated production with minimal product and tray size changes. 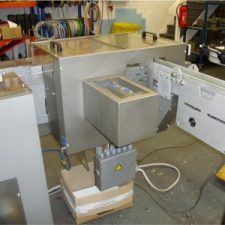 The conveyor contains plates which are shaped to hold the trays to be filled and sealed. 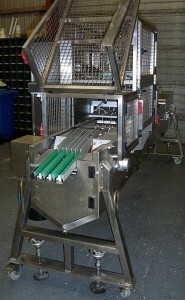 The outfeed of the machine can also be equipped with an overcapper, labeller and date code printer facilities. 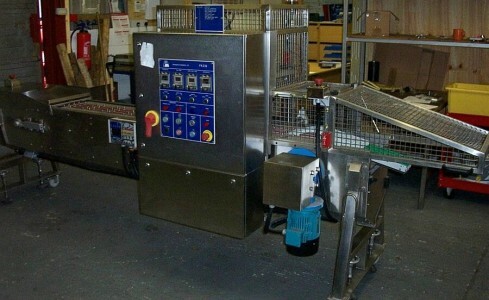 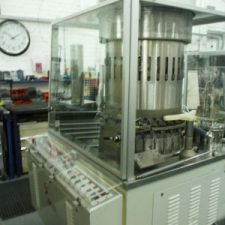 Machine presently set up for 10 ml ampoule trays.